Metro Police are investigating three shootings with four victims over the Martin Luther King Jr. Day weekend, “including one that was fatal and a second in which the victim was arrested on other charges,” a spokesman says. James Pastures, 34, died on Monday Jan. 19 after he was “targeted” and shot in front of an apartment on the 1900 block of East 51st street about 7 p.m.
A second victim, Regeria Lynch, 19, arrived at a hospital hours later for treatment of her wound. Neither injury was believed to be life-threatening. Police have charged a convicted felon with the armed robbery of a Savannah man in the downtown area Tuesday night. Dennis Lamar White, 26, was arrested after patrol officers and an off-duty officer “encountered a group of males after the 8:30 p.m. robbery at Habersham and Harris streets,” a spokesperson says. White was identified as the male “who approached the 32-year-old victim as he was walking on Harris Street toward Habersham, pointed a gun at him and forced him to turn over cash. The victim got away when a car approached,” police say. White has more than a dozen arrests by Savannah and Chatham County authorities and has served two prison sentences. He was released from Johnson State Prison in June of 2013 after serving 14 months of a five-year sentence for theft. This is his eighth arrest since that release. Detectives are “sorting out the details in an early Sunday morning shooting that left one man with potentially serious injuries, a second with minor injuries and a third in custody,” police say. Brendon Barlow, 27, was found in a black Toyota at Augusta Avenue and Tulip Street when officers responded to a shooting call at 5:19 a.m. He was transported for treatment of a gunshot wound. A second victim, Eric Butts, 25, of Harden Street, was being interviewed “when detectives determined he actually had been in the car and had received a gunshot wound as well,” police say. Another male was arrested for probation violation. “The investigation indicated the shooting took place when occupants of the Toyota and at least one other person began shooting at each other,” police say. A no-knock search warrant “delivered simultaneously to two houses in the Cuyler Brownsville neighborhood led to the arrest of six individuals and the seizure of drugs, weapons, cash and tools to support a large-scale drug operation,” police say. Those arrested and charged included: Shavar Levert Spence, 30; Blanche Renee Spence, 49; Eurasia Shareka Shantell Williams, 24; Akilah Laquana Colonel, 21; LaJordan Christopher Johnson, 21; Corinthian Lamar Colonel, 17. On Jan. 20 SWAT officers stormed houses on the 2400 block of Harden Street and the 600 block of West 41st Street at 6 a.m. after determining that sales of marijuana, cocaine and crystalized MDMA and Molly (Ecstacy) were being sold, police say. Agents found drugs, handguns, semi-automatic weapons and a sub-machine gun, ammunition, various plastic baggies, body armor and tactical scope, scales and cell phones. Charles Leonard Mobley, 20, is sought for questioning by Savannah-Chatham Metropolitan Police investigators regarding a Dec. 21 homicide in Yamacraw Village. Mobley is described as a black male standing 5-4 and weighing 145. He wears a short haircut. 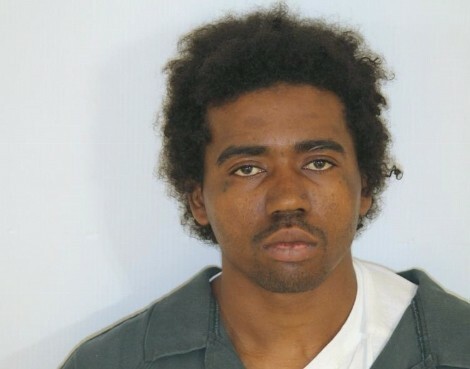 “Mobley is known to frequent east Savannah and Yamacraw Village,” police say.